The greater Tampa Bay area, including Tampa, Clearwater, Largo, St. Petersburg and Sarasota, has a wealth of recreational and cultural facilities, with city parks, picnic areas, racquetball, tennis courts, golf, boating, and fishing, competing with miles of white sand beaches along the Gulf of Mexico. 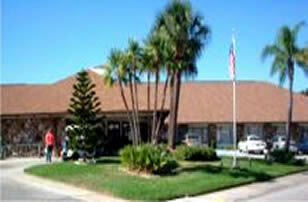 Largo Medical Center is one of the 100 top rated hospital facilities in the country. Many shopping centers and malls are close by. The area is home to professional football - the champion Buccaneers, Ice Hockey- the Stanley Cup winning, Tampa Bay Lightning, and hosts major league baseball teams- The Yankees & Phillies for spring training and our own Tampa Bay Devil Rays. Other spectator sports include sail and powerboat racing, soccer, polo-in-the-rough, equestrian shows, jai alai and NASCAR, horse and greyhound racing. Venture the Dark Continent at Bush Gardens. At this African adventure you will see one of the largest collections of free-roaming animals in the world. Within the great Aviary there are over 224 species of birds, including one of the largest collections of American flamingos. For you thrill seekers, take a ride on Congo River Rapids or the Tanganyika Tidal Wave. Orlando's Disney, Universal, Sea World and other attractions are only a few hours away. Cruise ships depart from the port of Tampa everyday for the Caribbean and beyond. Six IMAX theaters (One, a unique 360 degree dome at the Museum of Science & Industry ) offer the ultimate movie lover's experience. Roam through Ybor Square. This Latin quarter was built in 1886 starting with the Ybor Cigar Factory where you can still get a hand rolled cigar; and now features antiques, imports, art galleries and gift shops located throughout this historic neighborhood. Downtown central St Petersburg hosts many fine arts museums and galleries including the new Dali museum, all within a half day's outing. You may wish to satisfy your palate at one of the hundreds of restaurants providing the authentic cuisine's of every nation. The Tampa Bay Performing Arts Center is the largest performing arts center in Southeastern United States. The three-theater complex, located on the banks of the Hillsborough River provides an entire repertoire of theatrical performances including concerts, ballet and operas. Ruth Eckerd Hall in Clearwater is a venue for some of the top rated national tours, as well as performances by the Florida Symphony Orchestra. Pinellas County's Suncoast spans over 28 miles of beautiful white, sandy beaches, from Dunedin to St. Petersburg Beach. Numerous uninhabited islands lay off of these coast lines providing a perfect retreat for sunbathers, shell collectors and nature lovers. Combine all this with the full calendar program of offerings produced by our own Park Associations and recreational centers, and you'll welcome a dull moment. E-Mail Island in the Sun Realty for details about enjoying the lifestyle of your dreams.